Helps repair the baby's skin hydrolipid film. 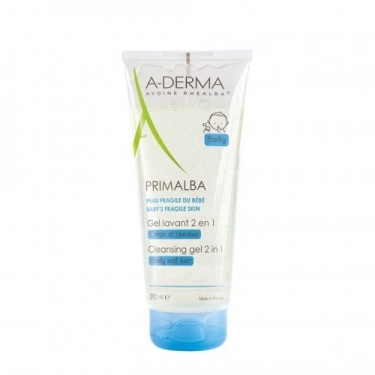 DESCRIPTION: Ultra-Rich Cleansing Bar from A-Derma is a 2-in-1 daily bath gel for baby's body and hair. With rhealba oat extract that softens and soothes irritated skin. With a mild cleansing base it cleanses the skin without irritating it. With a natural lipid complex that helps restore the skin's hydrolipidic film. With neutral pH protects against external aggressions and respects the sensitivity of the skin. No soap and no parabens. It does not burn in the eyes.